New York has 7,500 lakes and ponds, 70,000 miles of rivers and streams, and coastline galore. 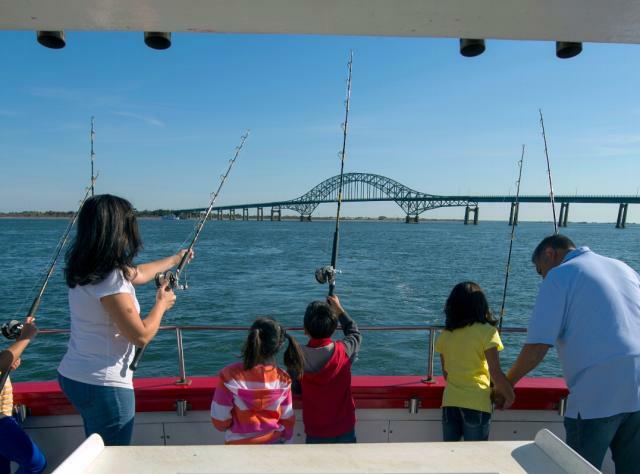 World-class fishing draws anglers from around the globe to experience the Empire State&apos;s impressive waterways, home to 165 species of fish. Freshwater fishing opportunities reward experts and novices alike with bass, trout, salmon, northern pike, muskies, and walleye. In fact, New York is home to four of the Bassmaster&apos;s top 50 bass lakes. The crystal clear lakes and streams of the Adirondack and Catskill parks make the great state of New York home to the very best fly-fishing east of the Rockies. For those who enjoy saltwater angling, the famous shorelines of Long Island boast prized species like striped bass, bluefish, and fluke. From deep sea fishing to ice fishing, from the Great Lakes to small ponds, New York is the premier location for anglers to experience the thrill of their next big catch. Find local fishing spots and services near you!